This tiny woman with the big personality has become an icon of Mexican culture. Her paintings are mostly small and exquisite and often autobiographical. The Casa Azul (blue house) is a must-see for anyone who visits Mexico City. It houses many of her paintings, and also displays the plaster body casts and metal braces used by Frida throughout her life. 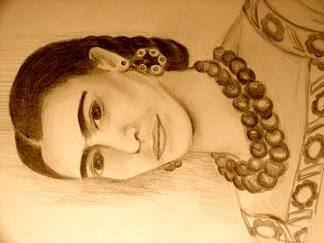 As well as the movie Frida, there are countless books both on the art and life of Kahlo. I'll be posting reviews on some of these books soon.